Speedy Furniture—Serving Pittsburgh and western Pennsylvania with locations in: Allison Park, Belle Vernon, Butler, Carnegie, Cranberry, Grove City, Hermitage, Indiana, Irwin, Kittanning, Latrobe, Lower Burrell, Monroeville, Robinson, State College and Uniontown. Speedy Furniture’s roots go back over 50 years servicing western Pennsylvania. Today, Speedy Furniture’s many locations offer western Pennsylvania shoppers an impressive selection of name brand furniture from the world’s largest furniture manufacturers. 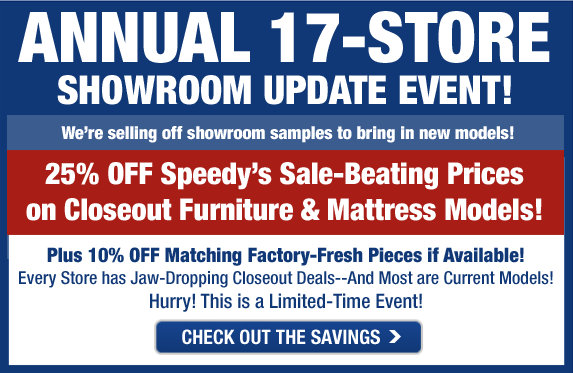 Speedy Furniture offers GUARANTEED LOW PRICES on a large selection of dining rooms and dinettes, living rooms collections in durable fabrics and quality leather, bedroom sets, an extensive line of fine affordable mattress sets in twin, full, queen, and king size, home entertainment centers, area rugs, lamps, and recliners. Speedy Furniture’s friendly and knowledgeable staff will work with you to find the right combination for any room in your home at a LOW price that is sure to surprise you! Visit one of our Speedy Furniture locations - Allison Park, Belle Vernon, Butler, Carnegie, Cranberry, Grove City, Hermitage, Indiana, Irwin, Kittanning, Latrobe, Lower Burrell, Monroeville, Robinson, State College and Uniontown - and see what our customers have experienced: the absolute best prices on the best selection in the area! 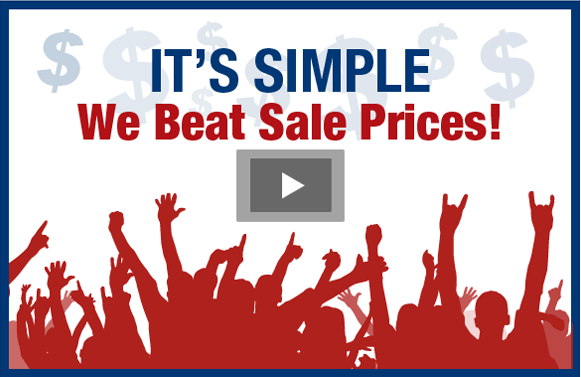 Speedy Furniture’s GUARANTEED LOW PRICES beat other stores’ sale prices everyday—stop in and we’ll prove it! Remember, Speedy Furniture is designed to save YOU money!